This drop point knife features a resilient blade that is made from stainless steel that protects against rust and corrosion and features a thumbstud for easy one handed operation. 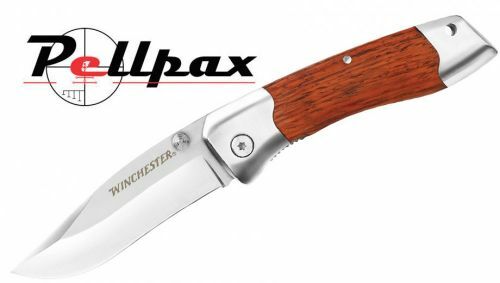 This knife is perfect for fishers, campers or just as a general tool where its its drop point shaped blade is able to perform a variety of basic tasks. The wood handle and stainless steel detailing complete the look of this already handsome blade.